We are currently hiring energetic and positive people to join our dynamic event install and pickup teams. The details of the position include loading, unloading, and installing event furniture and seating Thursday through Sundays. 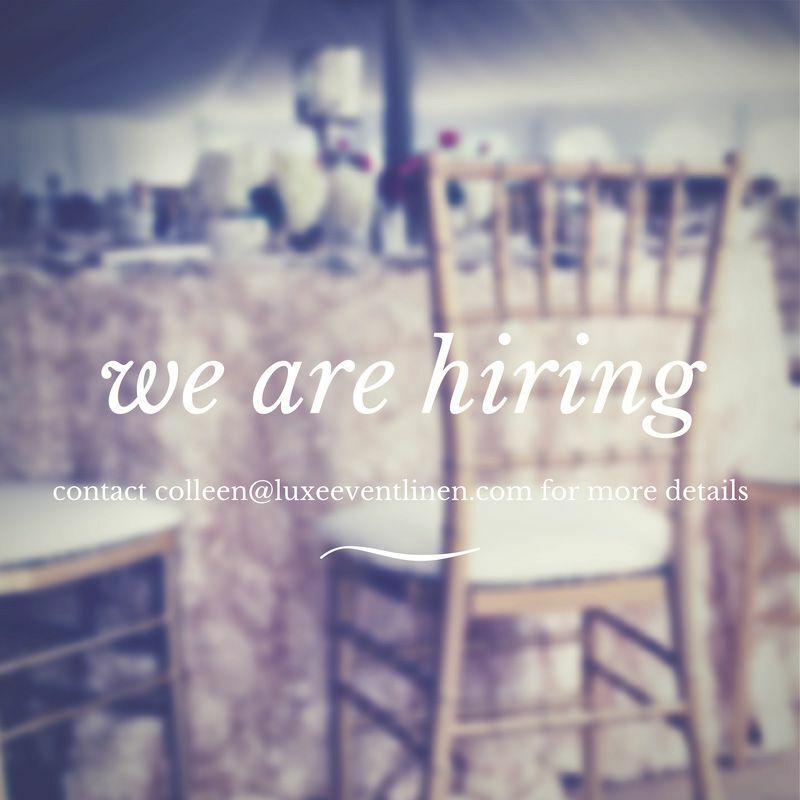 Please contact Colleen Galacz at colleen@www.luxeeventlinen.com for an interview.